Key difference: A Joker and a Comedian are both entertainers; a joker is one who makes fun of others to amuse and entertain an audience, whereas a comedian is one who does comedy to make an audience laugh. A joker and comedian have many similarities with each-other, i.e. they are entertainers, they make an audience or people laugh aloud, etc. Jokers are probably seen in the circus or some amusement park wherein they make fun of their fellows and make funny tantrums to make people laugh, whereas comedians are generally seen on television shows or programs, where they make extreme comedy by joking and jestering to make the audiences laugh. one of two extra playing cards in a pack, usually imprinted with the figure of a jester, used in some games as the highest card or as a wild card. A joker is a funny character who makes fun of others to make people laugh. 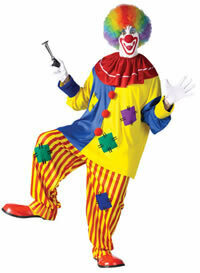 Sometimes, he has a formal dress up like that of a clown. He is known to perform hilarious activities primarily in a silent mode. He implements jokes in a short story format, or sometimes depicts a situation in a humorous manner in his conversations. The jokes may be ironical and sarcastic as well. These jokes are often punchlines that create humor in order to make the audiences laugh and appreciate them. 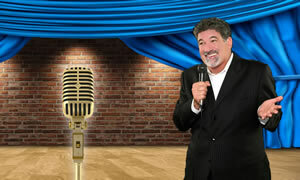 Comedians are entertainers by profession, and are known for their comedy. Generally, every comedian has his/her own style of humor and taste. A comedian is usually normally dressed and makes people laugh primarily by what he says. They play special roles in movies, films, or dramas, as they are known to add a comedic flavor in between the scenes. They are the most happening and humorous characters in every entertainment industry. A joker and a comedian are both funny people, and their main job is to entertain people by their humor skills and jokes. Moreover, a joker and a comedian cannot exchange their jobs. The only distinction about them is that a joker is a person who is quiet, but makes funny tantrums of others to make the public laugh; while a comedian is an entertainer who tells jokes and makes a comedy of things to make the audiences laugh aloud. He cannot be a comedian. He cannot be a joker. He plays jokes by making funny facial expressions and tantrums on others by being quiet. He tells funny and humorous jokes to make audiences laugh. They sometimes dress formally with a big red nose. Circus, amusement parks, theme parks etc. They are concerned with jokes, which can be a question, short story, or a depiction of a situation made with the intent of being humorous. They are concerned with comedy, which may be a dramatic composition, or a representation of a bright and amusing character, based upon the foibles of individuals, the manners of society, or the ludicrous events or accidents of life.